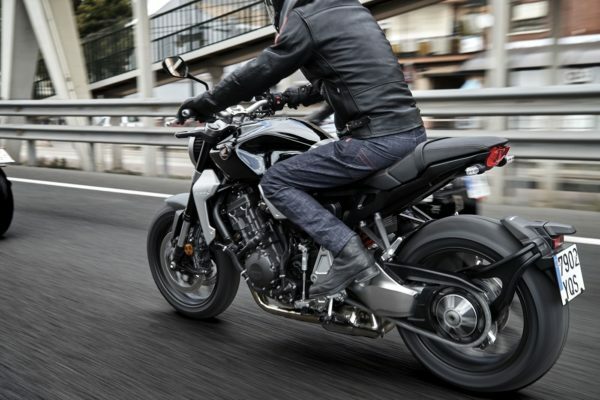 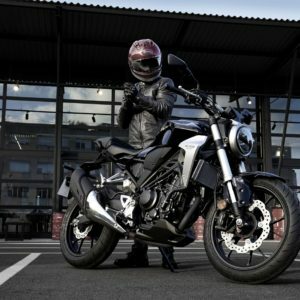 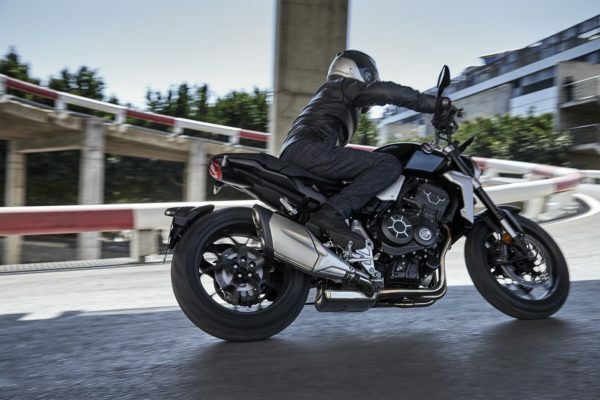 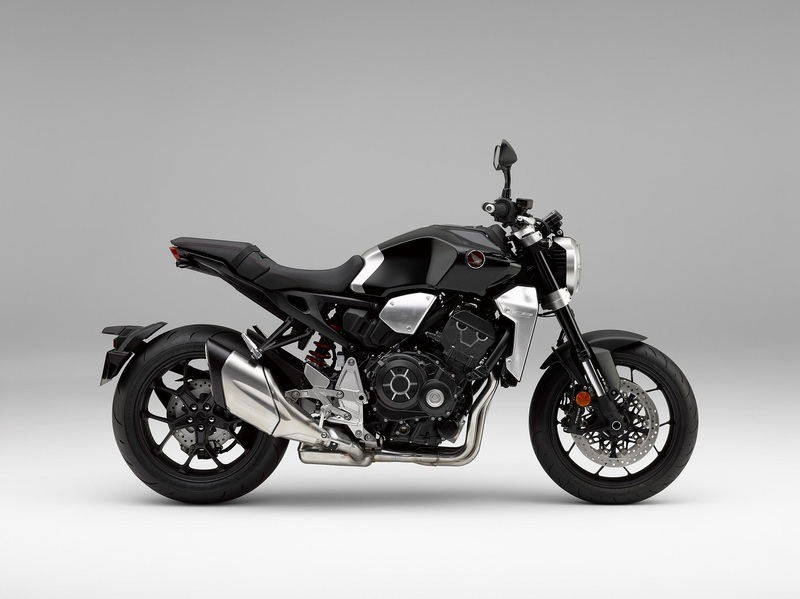 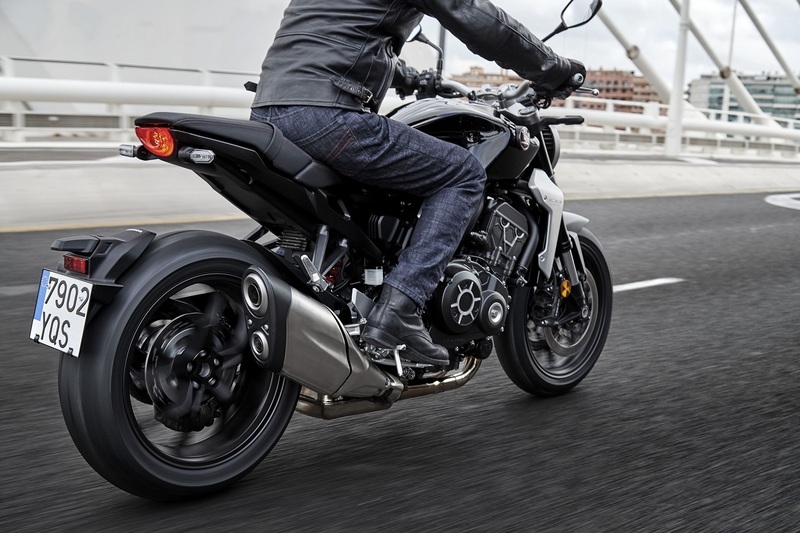 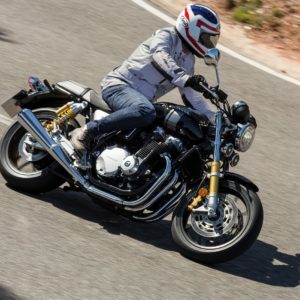 CB1000R+: Featuring quickshifter, heated grips and a range of premium accessories. 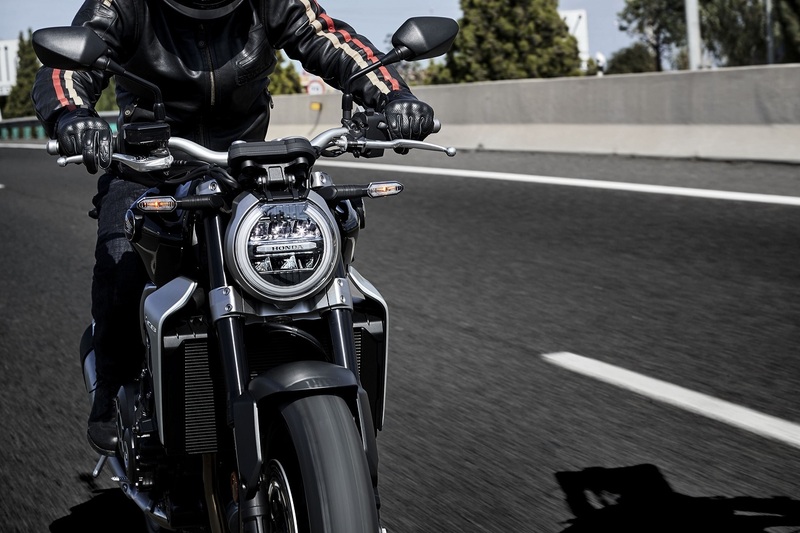 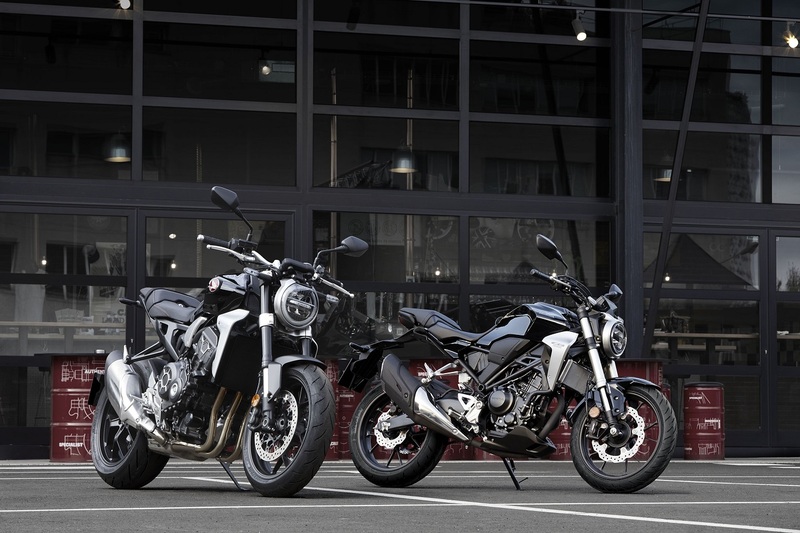 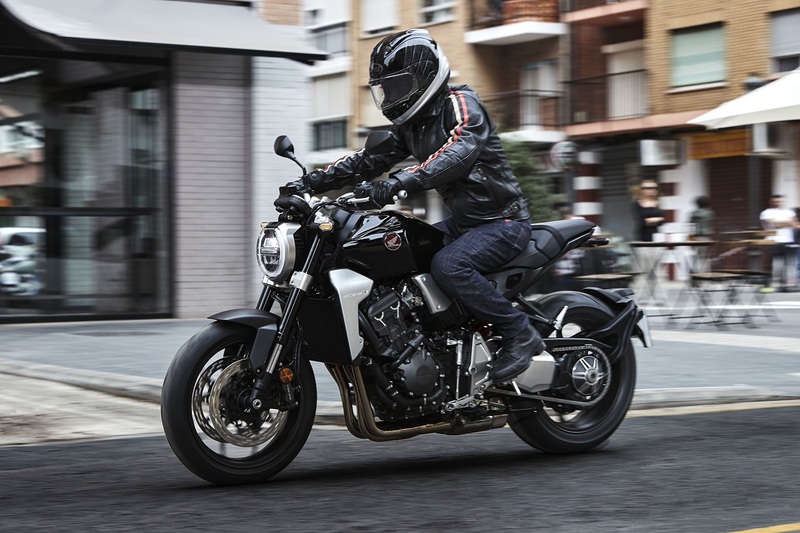 Bold styling: The 2018 CB1000R’s styling takes a bold – and distinct – new direction that deliberately marks it out of the Naked bike mainstream. 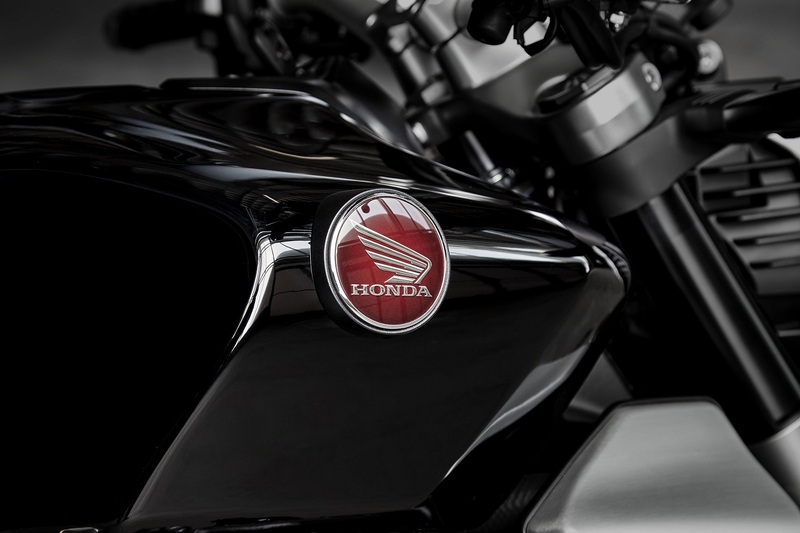 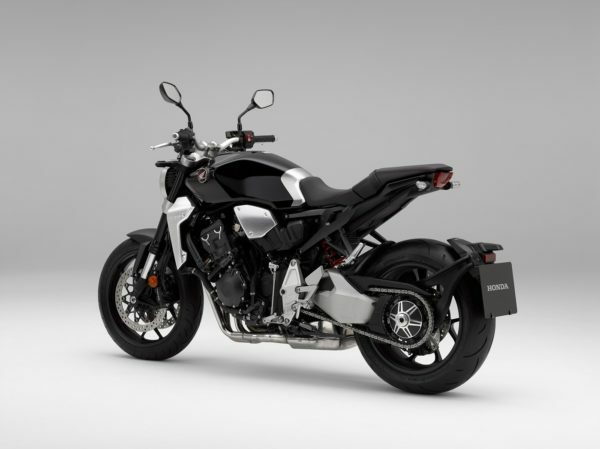 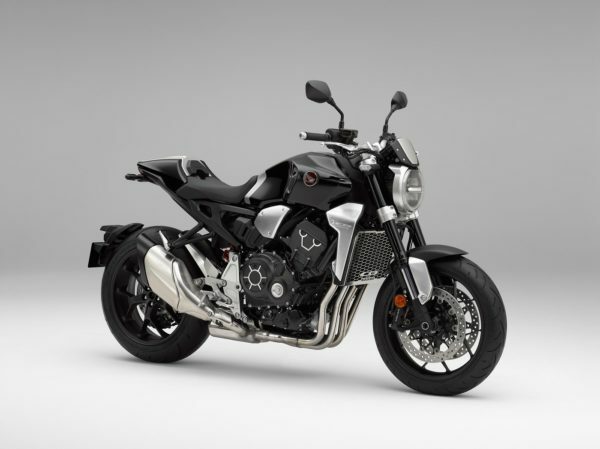 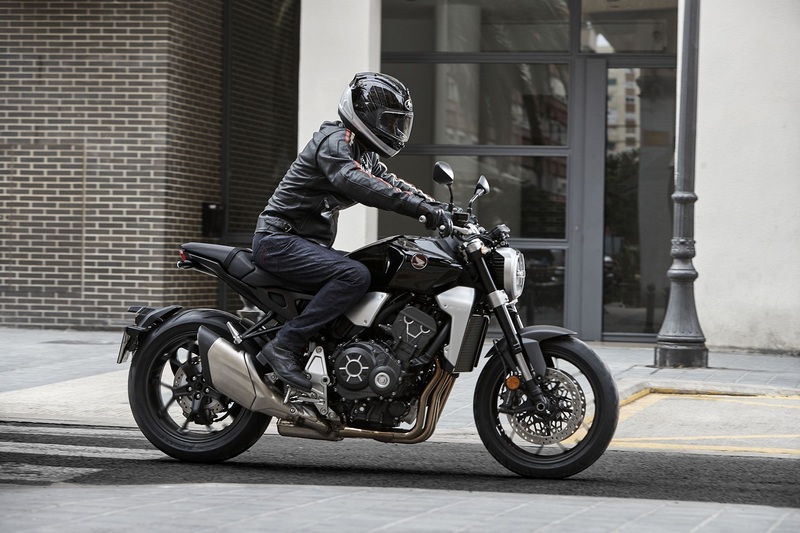 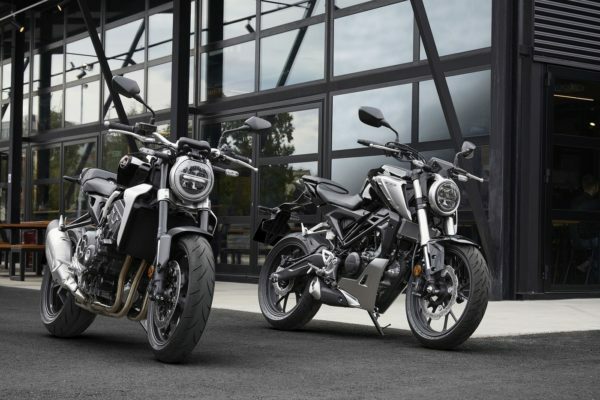 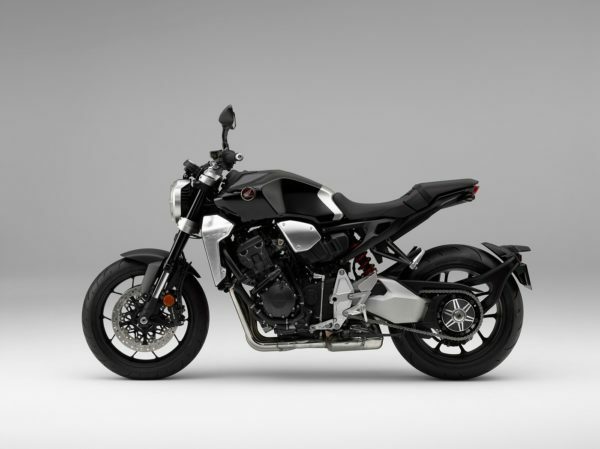 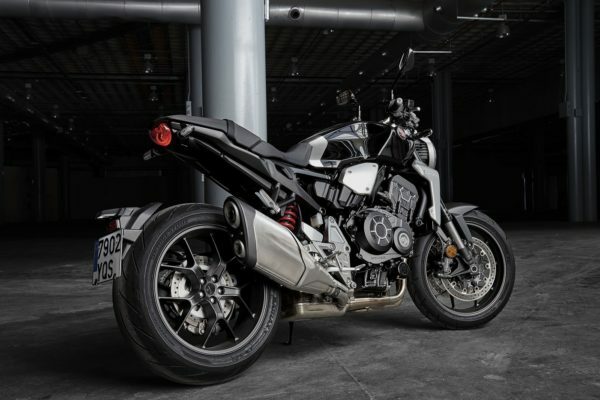 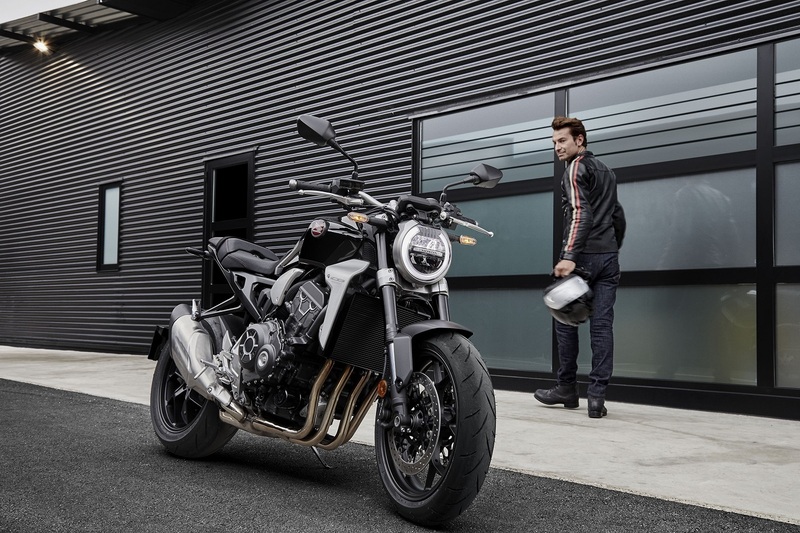 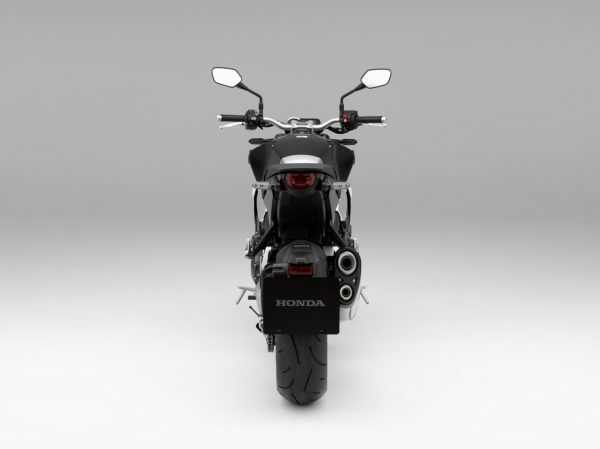 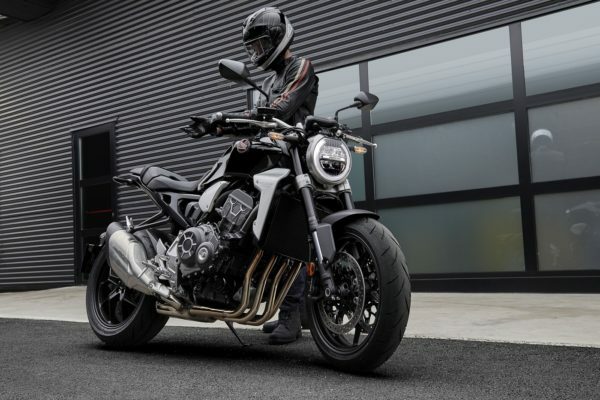 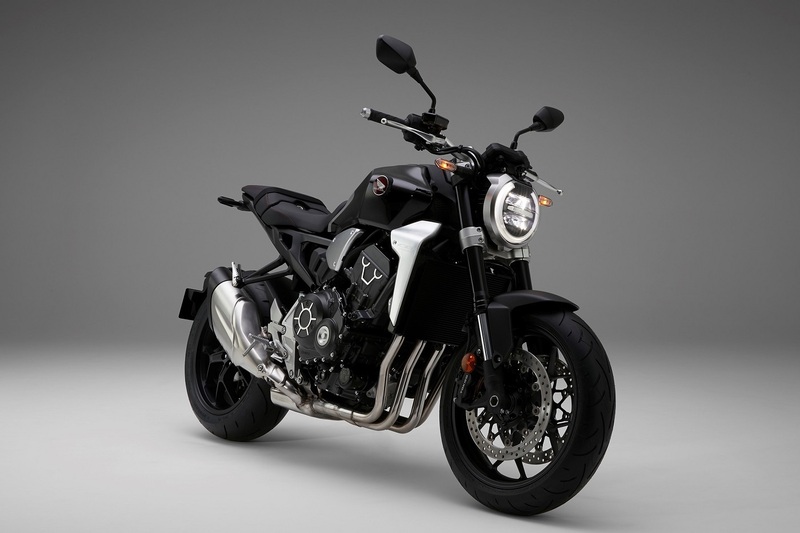 Every aesthetic detail of the CB1000R has been finessed, and the overall design, its style and powerful stance, merge retro minimalism with the elevated performance package of the engine and chassis. 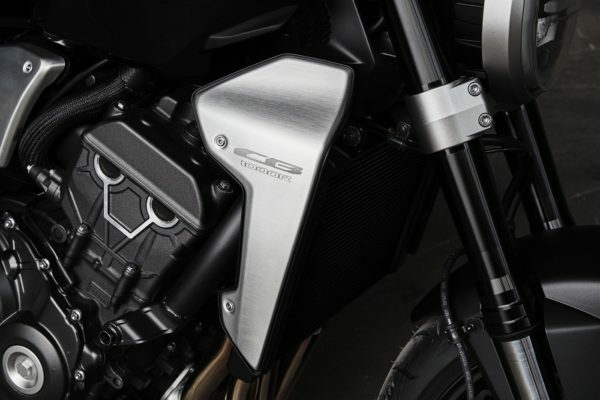 Metal Finish: What really makes its presence felt is the use of premium metal finishes throughout the machine, drawing on the long, café racer tradition: parts such as the burnished aluminium radiator shroud and airbox cover, the machined engine cases, cylinder head and sprocket hub, and the lustrously painted flangeless steel fuel tank. 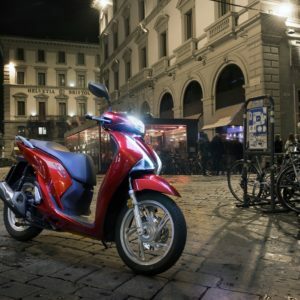 Light Up: All lighting is LED and the thin round headlight (with its metal-tone painted rim) employs a horseshoe-shaped light ring as well as distinctive two-bar light signature. 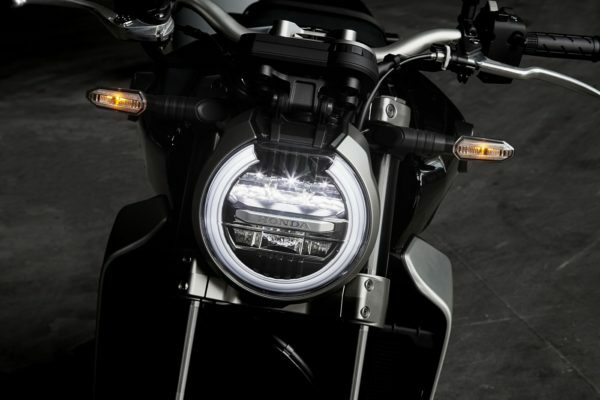 The rear light is also a semicircular light bar that fills in solid when the brakes are applied. 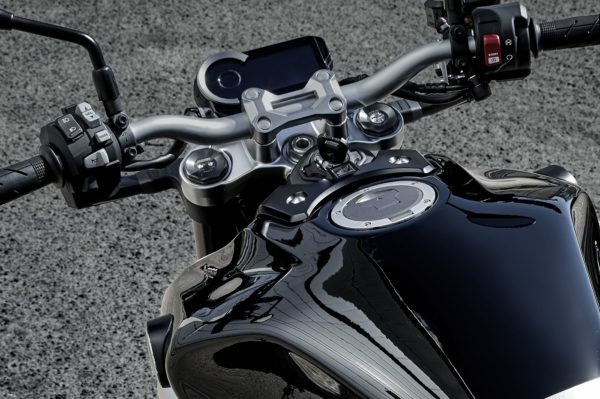 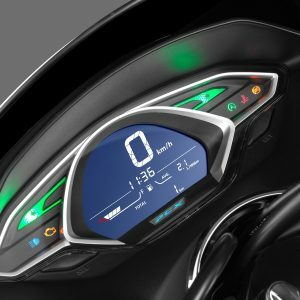 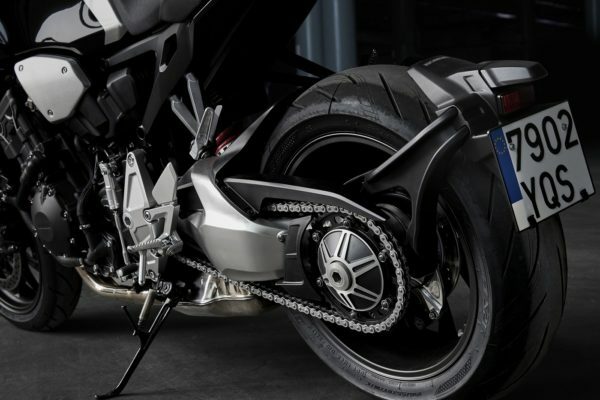 The T-shaped instrument panel – finished in the same metal-tone paint as the headlight rim – integrates into the top yoke, minimising bulk and the ignition switch is positioned at the front of the fuel tank. 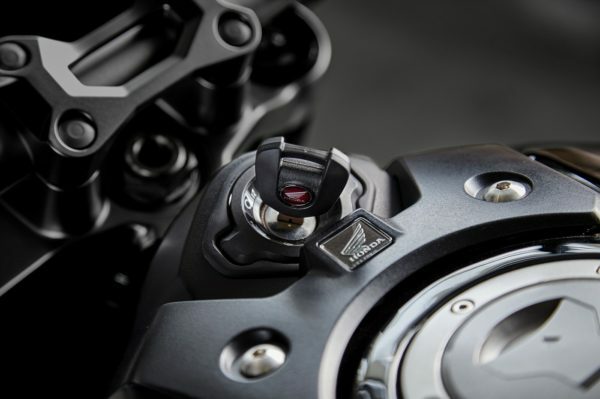 Adjustable Showa Suspension: The adjustable front fork is a Showa Separate Function Fr Fork Big Piston unit (SFF-BP). 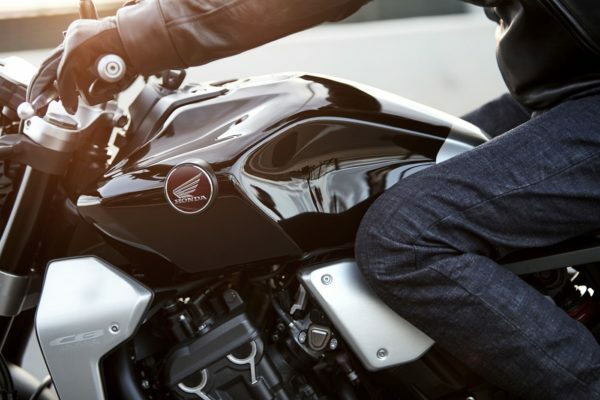 It contains all the damping function in one leg, reducing weight, while delivering compliance, comfort and control across a broad range of riding conditions. The Showa rear shock adjusts for spring preload, compression and rebound damping.